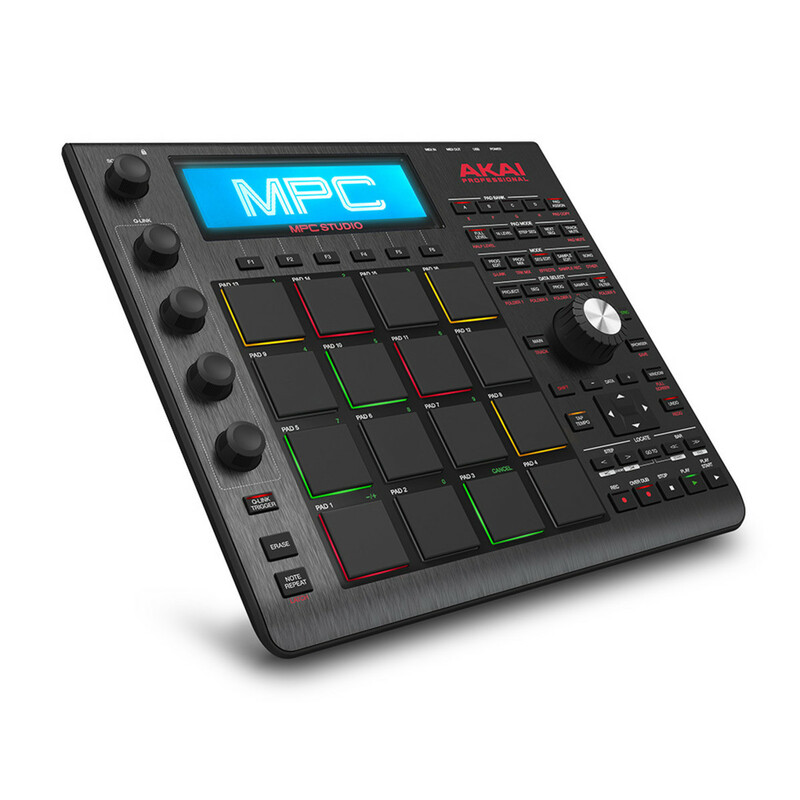 Akai's MPC Studio offers the most streamlined MPC experience yet. At under one-inch thin, with low-profile controls and a brushed aluminium body, it's made to be used on the move. 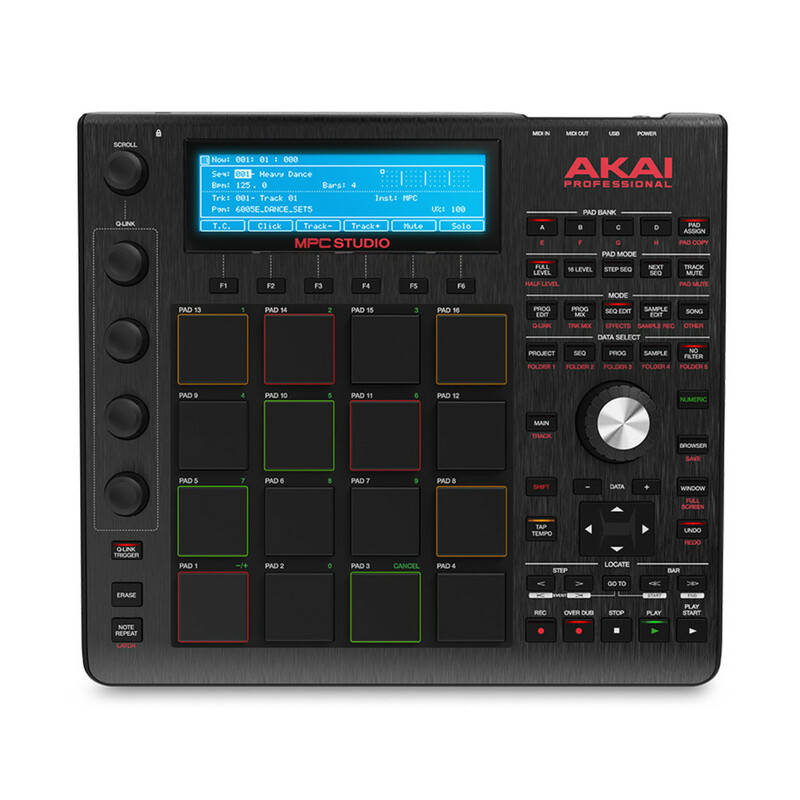 The AKAI MPC Studio merges real MPC pads, iconic workflow, and the same MPC Software used by MPC Renaissance to give you a fully integrated portable production solution. The MPC Studio Music Production Controller fuses legendary MPC production with the processing power of your computer. Its compact design is less than 1" thin and fits easily into a laptop bag or backpack. 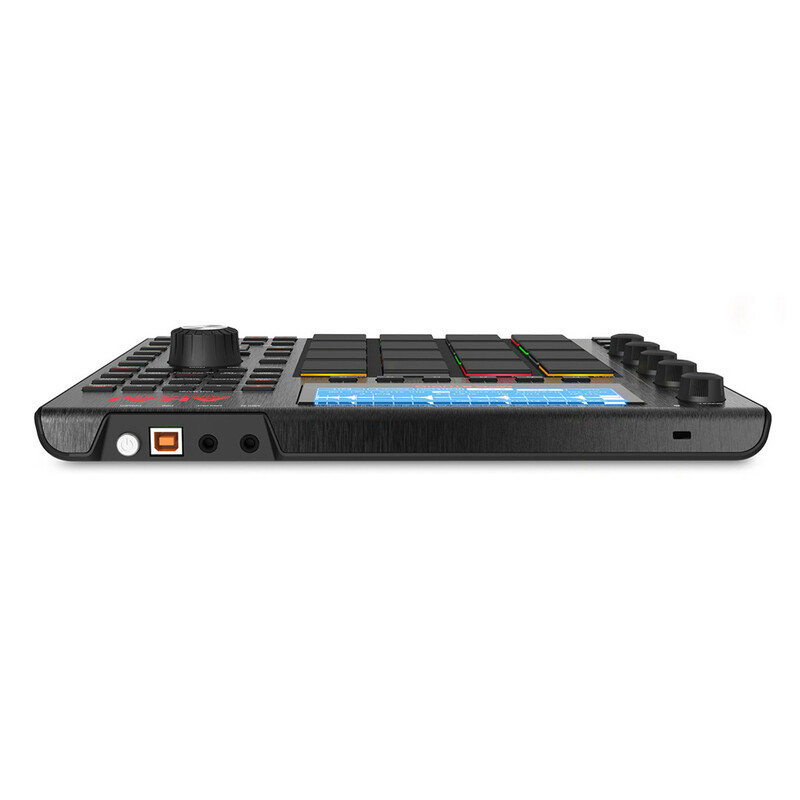 It's USB-powered with low-profile knobs and brushed aluminium body, and includes MPC Software for Mac and PC with 128-track sequencing capability. With 16 backlit genuine MPC pads, legendary MPC workflow, MPC Swing, plus four touch-sensitive knobs providing enhanced MPC software control, you'll be producing quality music in no time. A large LCD screen allows you to make tracks without having to look at your computer. The Bank is an MPC Expansion workstation exploding with all the essential sounds of modern production including basses, leads, effects, keyboards and much, much more. You also get The 809, an MPC Expansion for punchy analog drums (collection of classic drum machine sounds) each with its own controls for maximum tweak ability. "An elegant and powerful performance and production tool that manages to be both enormous fun and suitably serious when required. Sets the standard for mobile music making." 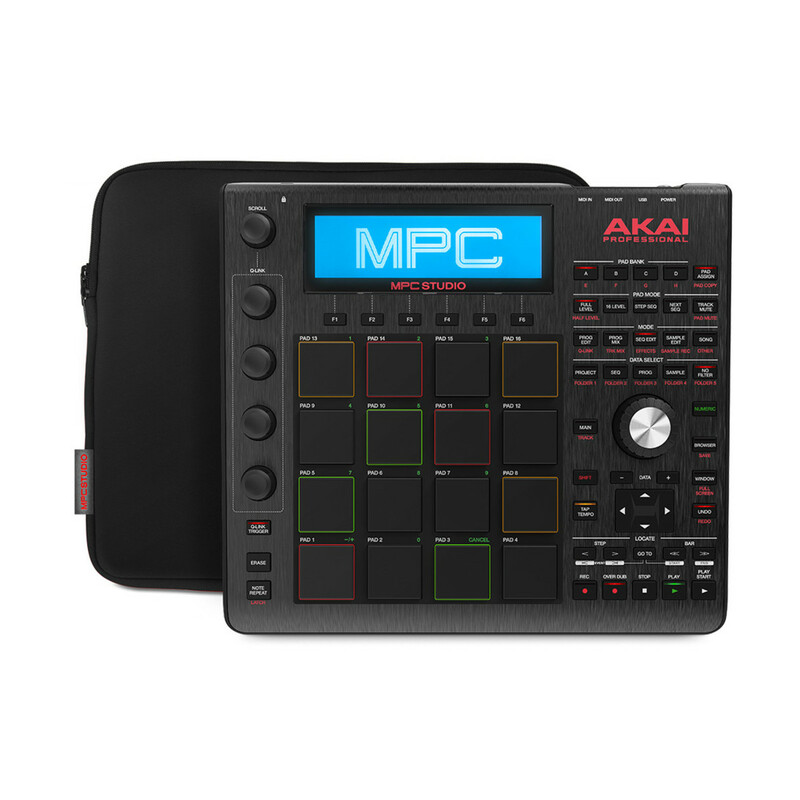 "There's a lot to like about the MPC Studio - the hardware is well built, feels good to use and provides a workable MPC production solution in a compact and portable package."